Living on campus is an excellent way to get connected with new friends and classmates. Listed below are the policies and procedures that all contracted residents and their guests are expected to uphold when they choose to live in Indiana University South Bend residence halls. These standards are designed to create and maintain an environment of academic achievement, comfort, safety, and respect for all who live in and visit the residence halls. As part of the Indiana University system, we are obligated to abide by and enforce the Indiana University Code of Student Rights, Responsibilities, and Conduct, hereafter referred to as the Code. However, because we want to ensure that every student’s rights to academic achievement, comfort and safety are paramount while living in River Crossing, we have other policies that are River Crossing specific. It is a student's right to anything included in the Code and in our HRL Handbook. However, it is a student's responsibility to read and know all of the Code and policies in the Handbook. The goal is not to overwhelm students or over complicate issues, so if you have any questions about anything in these documents, please see your RA or email us at living@iusb.edu. We'll be happy to answer any questions. 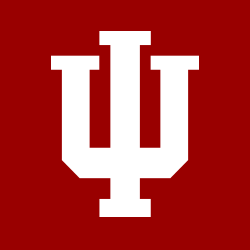 Indiana University Code of Student Rights, Responsibilities, and Conduct.